Staff at the Wildlife Center of Virginia are available seven days a week, 9 AM to 5 PM, to help provide assistance with wildlife issues. Please call 540-942-9453 to reach the Wildlife Center. Center veterinarians are also on call after hours to deal with wildlife emergencies. 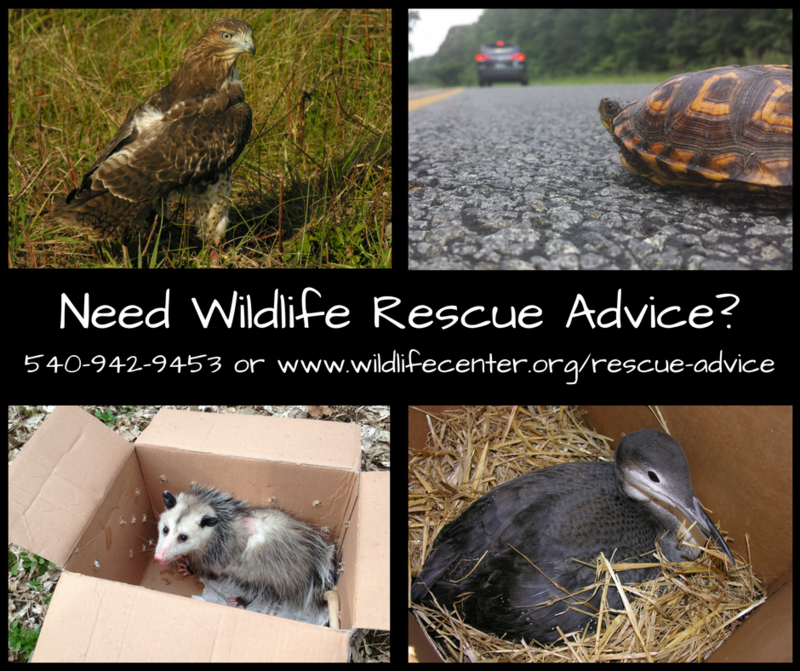 If you find a sick or injured wild animal or a baby animal in need of intervention, please contact the Wildlife Center or a permitted wildlife rehabilitator in your area as soon as possible. The Center also has number of online resources to help the public with wildlife health issues, including how to safely assist injured wild animals, how to tell if a young animal is truly in need of help, and a variety of other information on wildlife issues and living with wildlife. Sick and injured wildlife need assistance from permitted wildlife rehabilitators or veterinarians. Please call the Wildlife Center for advice on the best way to help. These animals may be having trouble breathing, lying on their side, bleeding profusely, have broken limbs and/or extensive wounds. Learn more here about how to safely help sick and injured wildlife, including special advice for high-risk rabies species. Many young wild animals are not in need of “help” from humans at all; they are young animals still receiving care from their parents, or young animals that are ready to live, and thrive, on their own. The Wildlife Center encourages those who care about wildlife to ask questions first about the most appropriate course of action. Learn more here about how to assess if a young wild animal is truly in need of help. Wildlife face a variety of problems; most of the animals admitted each year to the Center are admitted due to human-related causes. Many of these issues are preventable if we choose to take action to protect wildlife. Many homeowners enjoy sharing space with their wild neighbors, but sometimes human-wildlife conflicts exist. 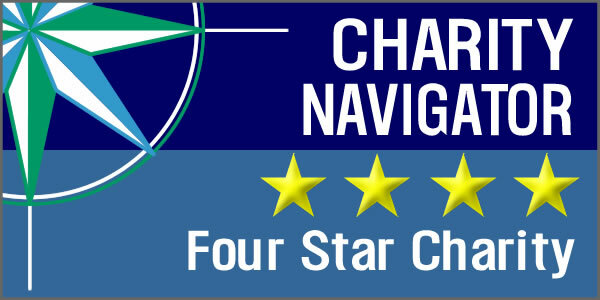 Common problems include animals entering attics/crawlspaces, damaging plants, and raiding trash cans. Learn more here about how to co-exist with your wild neighbors and provide long-term solutions to “nuisance” wildlife. There are many things you can do to your backyard to make it more friendly for your wild neighbors. By providing shelter, food, and water sources, you can attract and sustain a wide variety of wildlife. Learn more about creating your own backyard habitat here.